Vanessa Starnino is one of the team member of Revive Nations and serves as a worship leader for Revive Nations and Emmanuel Church at Montreal. She travels along with the ministry for mission trips. She is a mother to Nahshon, her son. Pastor Priji: Please tell us about yourself. What do you do, what is your role in Revive Nations and your background and what God has been doing back in Emmanuel in Montreal. Vanessa Starnino: Sure. Well I’ve actually been singing since I was 13 years old and I was discovered by my father (my natural father). And one day he just heard me singing and said ‘you can keep a tune‘. I grew up in church and I gave my life to the Lord at 16 and then from that point on I joined the church choir and the worship team. And so I started serving the Lord in that capacity. It was great and I learned a lot through singing for the choir. My role as on the worship team was really as a background vocalist to start. And currently I’m in Montreal serving Revive Nations and Emmanuel Church and my role there is as worship leader. What God is doing is spectacular, where we’re experiencing the presence of God on a regular basis in our meetings at Ablaze Canada or on a Sunday morning. 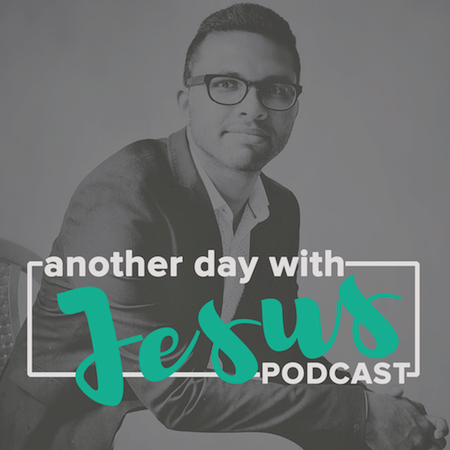 Pastor Priji: So when did this transition happen from being a singer to being a worshipper or from just a backup vocalist to being a lead worshipper or worship leader and how did the transition happen and what brought you to that place of worship? Vanessa Starnino: So officially I began leading worship with Revive Nations in 2014. So if you ask me that happened by divine appointment and I believe that my years serving as a background vocalist really did prepare me. One of the ways that my worship pastor prepared me in advance was really featuring me. So on a Sunday morning he would say to me ‘today you’re going to do this verse on the song’ and another Sunday he would say ‘you’re going to take this full song’ and to prepare me and to understand the importance of engaging the congregation and to also feel comfortable. So it wasn’t necessarily that they saw the talent in me and they wanted to put me as a worship leader. As a matter of fact when I started leading worship with Revive Nations, there was a lot of challenges. Suddenly there’s no other person coming to support, it was all on me. It was not just about sounding good, it was more about understanding how to host the presence which became a process of understanding. Pastor Priji: How did your personal journey or your personal life connect or help in your journey of worship leading and serving the Lord. How did God use your personal story and your personal journey in your ministry? Vanessa Starnino: Well, I’ve always found that singing was my way to express my love for Jesus and leading worship meant more than just singing. It meant it was an actual expression of my relationship with God. So one of the ways that I got to live out my relationship with Jesus was and is through worship. So you can even see at times, not always, that there are songs that I’m singing that really do speak to me which translates the experience I’m having personally at home when I’m leading worship in public. So the congregation will connect and understand because perhaps the melodies or the lyrics are having an impact on me personally. Pastor Priji: You’ve been in church worship leading and you’ve been a part of the Downtown Service in the Emmanuel which was a brand new church planted right from scratch. There are some young worship leaders and pastors that are attempting to doing new church plants. What would your advice be to them even as they aim at raising good quality worship right from the initial days when they don’t have an entire team, even the musicians in place. How can they develop right from the scratch? Vanessa Starnino: So I would say that the first step is to pray to the Lord that He sends you skilled, committed, prayerful, vocalists and musicians. I think that’s the biggest thing. As you mentioned being part of the Emmanuel Downtown, we’ve went through seasons where we’ve had musicians and we went through seasons where we had no musicians, where I’ve just stood up and sang acapella. So there are challenges but the key is being prayerful. It’s easy to want to have people support you, but then they may not be committed or you can have someone who wants to support you but they’re not skilled. I think that the other important aspect is if you do have the musicians that are committed and skilled, it’s important also to establish protocols from the very beginning to help define what the role of the worship leader is, in relation to the church as well as the congregation and to the pastor of the house. It’s important that they understand how preparing for worship is crucial. It has to become a priority and it’s also important for them to know how to follow with the man or woman of God. These things aren’t often discussed. I would also say that if they meet someone who is a musician or a vocalist but they’re not as skilful, my question is “are they committed to putting the hours in, to become better or if they’re a vocalist, can they get the voice lessons? Look for people who are committed, dedicated and who aren’t necessarily just eager to have a place on the platform because it’s so much more than that. Pastor Priji: So much wisdom in what you shared. How do you flow with your pastor? What is the easiest way to understand the vibe of the church and what God is doing in the church because you cannot redirect the church to some other place since you have to help the church go with a greater force into the same direction that the Pastor is trying to navigate the church into. Give us some practical tips as to how you would personally do it. Vanessa Starnino: Well, for sure you need to know your pastor and if you don’t you need to get to know him in understanding his vision and being intentional about respecting his vision. Personally what I’ve done is even though I am the worship leader and I’ll get up and lead, the moment Pastor Shyju steps on the stage, he becomes a leader. So I recognise his role and take a step back and suddenly take my cues from him. I instantly become aware of his leadership and his capacity to move in the spirit. And so I submit to that in the same way that the background vocalists and the musicians submit to me and it becomes a question of being sensitive as well. Learning how to follow well will help you become a good leader. So if you’re eager to lead without knowing first how to follow it will never work. It’s a question of knowing the vision of the church, knowing and being able to submit what your pastor is saying and doing and to be sensitive to the leading of the Holy Spirit. 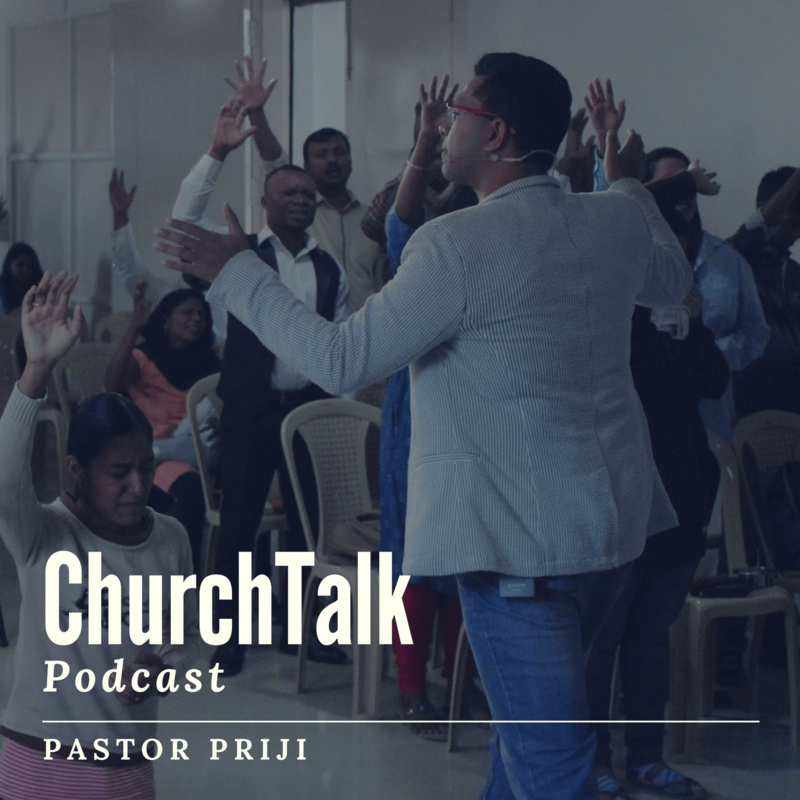 Pastor Priji: So as a chief worship leader or as a worship pastor how easy is it for you to identify other worship leaders in the church and what do you do to identify them. How do you choose the back up vocalists or musicians who are not just skilled and committed but also spirit filled and who would flow with you in the spirit. What do you do to specifically look out for those people during the services or during the times of fellowship? Vanessa Starnino: Well it’s important to know that people will sing their heart out. And it doesn’t necessarily mean that they are the ones right. As a matter of fact people can sing very softly and they can be the ones and vice versa. I think it’s a question of their posture of their heart. Do they express interest? If they’ve expressed interest, can they come to rehearsals without the commitment of being given a mic. If they are on the team can they go through the process of just being a part of the team again without being given a mic. I look at their heart, their willingness to serve and how they speak, their attitude even has a huge impact. I think those are the biggest things aside from skill per say. There are people at our church, they have the right heart, right attitude and they’re not necessarily the best but they’re willing to make changes at the last minute and are willing to be adaptable, which I find is really powerful. I have some people that I work with who are very humble. They know who they are. And some of them don’t know who they are. And so it requires a bit of pulling out so you can see that they have the capacity but you need to give them time and you take people per case basis and you watch them. But it is a joy to be able to see the potential, recognise it and to watch someone grow into their calling. It’s a joy for me to see that. Pastor Priji: I agree. It is such a joy when you see the ultimate fruit of them becoming who God is called them to. But the process sometimes can be very hard especially if it’s a new church plant. We’ve had times in our church where the worship team has arrived after the service has begun. And we’d have to tell them to just sit this one out and put somebody who came on time and has not had any rehearsals and we would have to randomly put them on the stage because the main worship leader or team wouldn’t have come in time. So along with the skill and the commitment, discipline and being willing to give your hundred percent into the house is very necessary. As a worship pastor or a worship leader, you also need to disciple your team. So after selecting and identifying, how can the pastor communicate his/her vision to them and what kind of mentorship from the pastor and the worship pastor will really help for the worship team in the church? Vanessa Starnino: I think that to answer your last question first, it’s being able to recognise their skills or their strong points and their weaknesses and to work on those accordingly. I have a person on my team who somehow takes the backseat whenever I’m there. And she does so out of honor. And I keep telling her you can’t do that and you have to come forward. You have to be willing to take the stage and step up whether I’m there or I’m not. Then there’s someone else who would do things without hesitations if you’d just tell them. I think that’s one facet which helps me to recognise what they can and cannot do and then empower them to do. In terms of understanding what you can do as a pastor, I would definitely say that Pastor Shyju has given us a lot of direction about being able to host a presence of God and to be at rest a lot of the time. Those were very helpful to me. I found that I had to pay close attention to what it meant to be at rest because you become preoccupied with what’s happening. Are they playing the right song or are they playing the beat with the right tempo? Sometime it may not sound like you have expected it to. So my main focus is to be at rest and to host the presence of God. The other side of it is the preparation which I feel is crucial – you need to be prepared. So things like showing up late, for sure you can’t do that. As a matter of fact, worship teams are supposed to be the first ones there. When we have conferences, most times I’m there 2-3 hours before to set up with the musicians we’re preparing. It’s important that preparation does not happen on the day of the service or any meeting. If your worship leader sends you the song list, you need to be listening to these songs at least for an hour even though you are familiar with them. You need to not just listen but to hear the songs. So preparation is crucial for being comfortable with what you’re doing. When you have arrived to the rehearsals, you may not memorize the lyrics but you should know the structure of the song. If you’re a worship leader versus being a background vocalist you have to listen to the song differently. Same thing goes for musicians. As you develop that skill of preparation of listening to each one on the team it helps you to give direction. Having a great relationship with your pastor, communicating your vision with your team, spending time with one another in terms of building the relationship is also important. Pastor Priji: Give us a tip on song selection. How to select the theme and what kind of songs to select? We generally have this traditional way of doing things – 3 fast songs and 3 slow songs, so let us know your perspective on this. Vanessa Starnino: Song selection is a point of prayer for me. I start preparing 2-3 weeks in advance and the first thing that happens is I start talking to the Lord and ask what is He wanting to speak over the congregation. That’s my first question. And I meditate on the word to know what is God speaking in this season. “Reckless Love” is a very powerful song right now. The words just somehow tear things down. I’ve connected with it personally and then when I sing it over the congregation or with the congregation, there’s a huge impact. So I’ve seen that time and time again. One time the Lord asked me to sing higher ground old school hymns if you will. Songs that are not necessarily popular right now. And then there will be a wave of the presence of God because there’s just something about the lyrics in the song that are having an impact. Sometimes I’ll just be at rest and a song will drop in my spirit and I’ll will know that this is what we need to sing and then you’ll see that there’s a theme, it’ll either agree with what the man of God or the woman of God is speaking. And of course I take my lead from Pastor Shyju. So if there is a song that’s in his spirit even if I have a whole set, we go with what he wants and that is true freedom, being able to be led by the Spirit of God. And that also happens in spontaneous worship as well. There will be a song that is just sitting in the spirit and then we begin to sing it and it just moves within the congregation in an unprecedented way. Pastor Priji: Thank you so much for doing this. I’m sure it will be an encouragement for those of you who are listening. And if you’re blessed, please do write and tweet out to Vanessa and let her know how it blessed you guys. You can connect with Vanessa on Instagram and Twitter. If you’d like to financially support our ministry here at Bangalore Revival Center and in different parts of India, Africa and around the world, you can make your generous contributions from the link below.